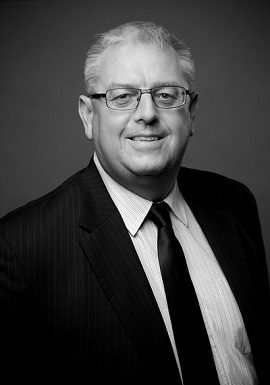 Stefan is a registered liquidator and has over 30 years’ experience in corporate recovery and insolvency including valuable insights as a Senior Executive at the Australian Securities and Investments Commission (“ASIC”), where he was responsible for the organisation’s national insolvency and audit teams. With a focus on corporate receiverships, business reviews and financial health assessments for directors and lenders, Stefan is known for mediating outcomes in difficult appointments. Through his experience, Stefan has developed a specialisation in the mining and mining services, property and manufacturing sectors. Stefan has regularly presented around Australia and internationally on insolvency processes and procedures, and has worked closely with Australia’s peak insolvency industry body, the Australian Restructuring Insolvency & Turnaround Association (“ARITA”), in developing improved standards. Stefan gained exposure to many large corporate failures during the Global Financial Crisis through his role as leader at ASIC for teams undertaking corporate solvency assessments. Additionally, he has experience in difficult recoveries having worked on litigious court appointed receiverships and has given evidence in court on reconstructed financial information. Reorganisation of managed letting businesses and their successful sale.